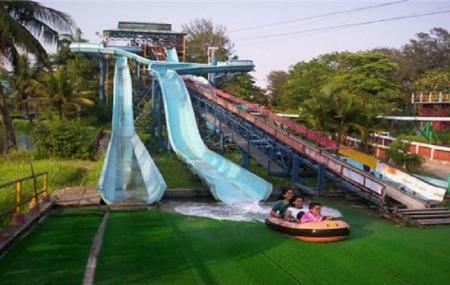 If you are fond of adventure, then this amusement park is surely going to thrill you. Filled with many fun rides for different ages of individuals, this park has become one of the most favorite places in Bhubaneshwar. When you visit the park, start your journey with the cable car ride around the arena. This will let you take a good look around the park. If height scares you, go for lazy boat ride instead of the cable car. Once you have taken a look of the entire park, move on to some thrilling rides like Water Chute, Moon Raker mini roller coaster. Apart from these, get yourself drenched under the Giant Waterfall in Wet O’Wild section. All in all, the place is perfect for weekend gateway. The park has facilities to organize corporate as well as other events. Rs 150 per person for all the rides. By hired taxi or by car. How popular is Bda City Centre? People normally also visit Nandankanan Zoological Park while planning their trip to Bda City Centre. A quaint place. The proprietor is very polite and prompt. Hope his service will be equally useful. Important and popular in the locality and enhances dignity and oneness feeling .nicest one for morning walk or jugging. ##. Honestly could not enjoy due to bad weather ##. An Amusement park type place ##. Prominently - Poor maintenance & attitude of the staff.. ##. Not including any internal photos, as that will project bad image ##. Reasonably good area for public ##. Ticket of Rs.150/= for this place looks high for the locals ##. Authorities need to add and Upgrade rides & gadgets for better enjoyment ##. Location of the property is very good ##. Recommend for one time locals - not for tourists. Kindly click "THMBUS UP" if you like our review / photos / videos to write more for you, please! Previously known as BDANICCO Park ,a joint amusement park established by Bhubaneswar Development Authority in collaboration with Kolkata based Nicco Group the park has been renamed as BDA City Centre after the exit of NICCO. It is situated in the heart of Bhubaneswar but the park was not able to encash the vantage location. The rides in the park is not something to write about.For an amusement park the area is too small. Besides a sizable chunk is rented out to marriage receptions & sometimes there are six pandals on a single day.So now a days it is more of a marriage mandop than an amusement park.However not everything is bad about the place.The children & young couples can have a good time here. For Rs 150/= one can have some fun here . Attached to the park there is a good restaurant serving reasonably good food.